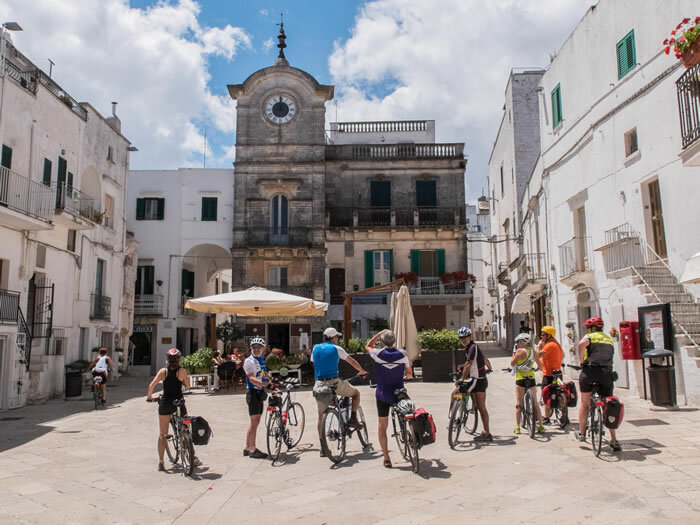 Cycling is one of the most popular activities in Puglia where the coast and the gently rolling countryside fit perfectly to scouting the region, while in Basilicata hiking is an year round sport and the best way to enjoy its beautiful parks and to discover hidden gems in the hilltowns and to join folk feasts and festivals here still observed with great enthusiasm. 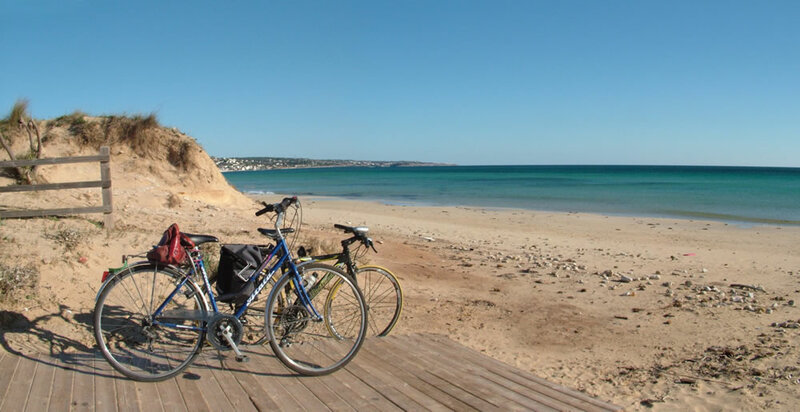 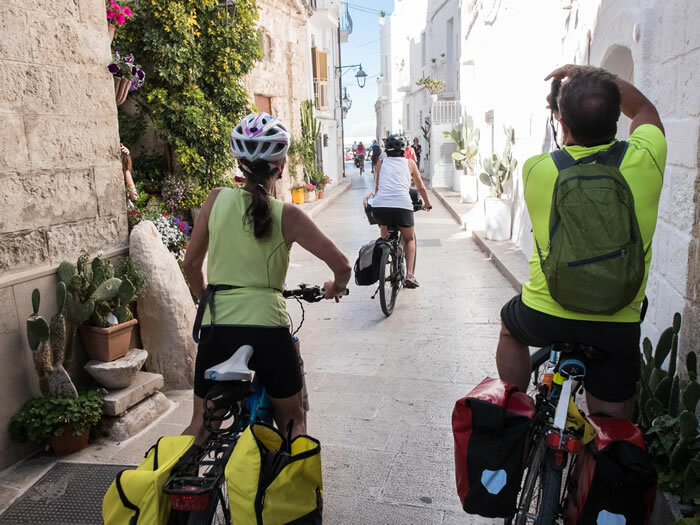 Both regions have been experiencing a rush of green tourists from all over the world, you can find bike rental shops in many towns either masserias, B&Bs and hotels often offer bikes free to guests. 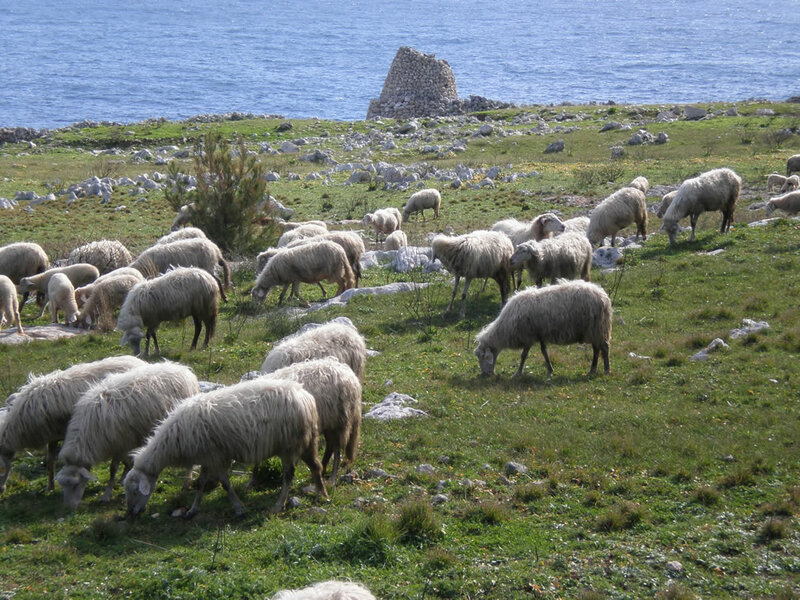 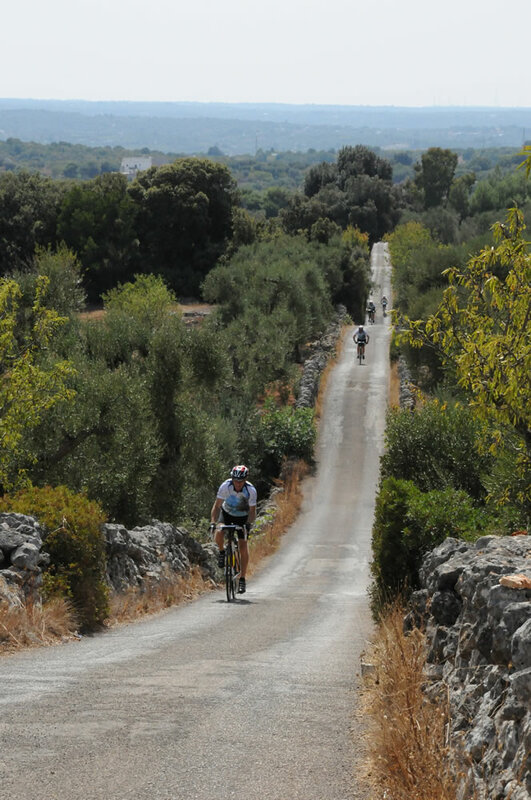 In Apulia you can pedal along many routes enjoying spectacular views along the Adriatic coast between Santa Maria di Leuca and Otranto, scouting inland roads through fields in the enchanting Itria Valley either in the Ostuni district covered in magnificent thousand year old olive trees, and climbing up to the Unesco recorded Castel del Monte. 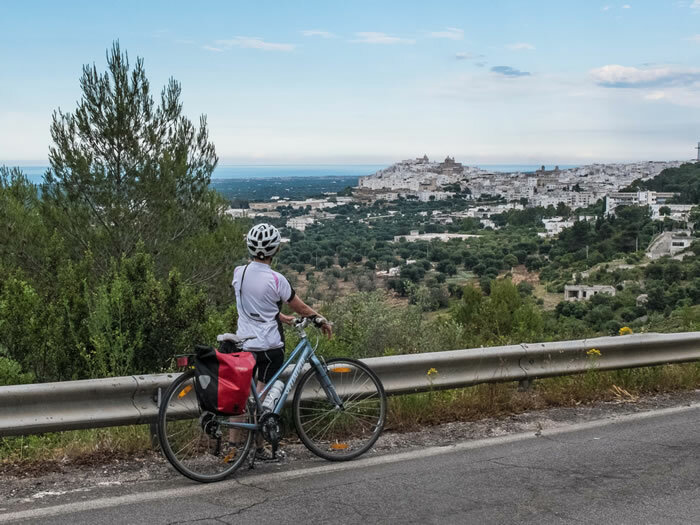 In Basilicata trained cyclers will find superb climbing up to medieval little hilltowns dominating the thousand hectar forests the region displays. 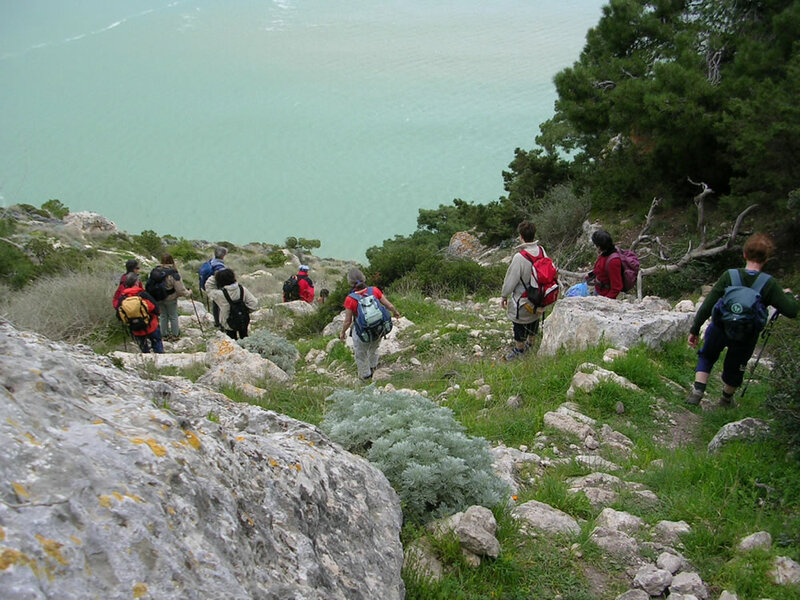 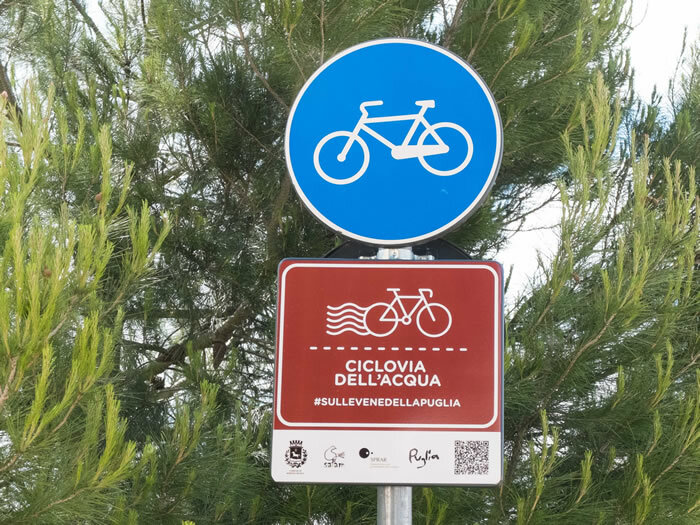 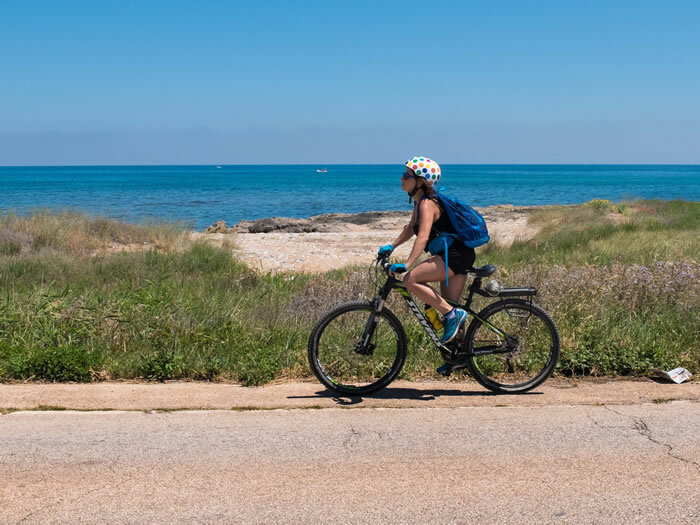 You can also choose the easy riding Ionian coast and cross cultivated flat lands and relaxing sandy beaches to get to Basilicata’s Greek ruins, and, once back in Apulia, cross the Porto Selvaggio marine reserve haeding for the “beautiful town” Gallipoli – Kale Polis. 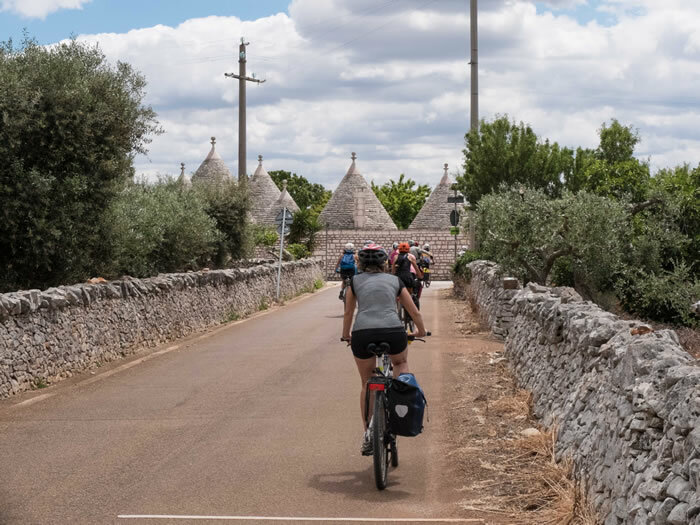 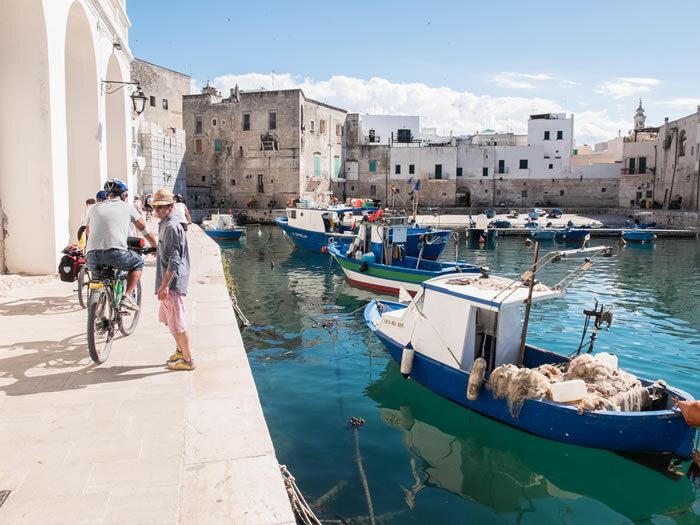 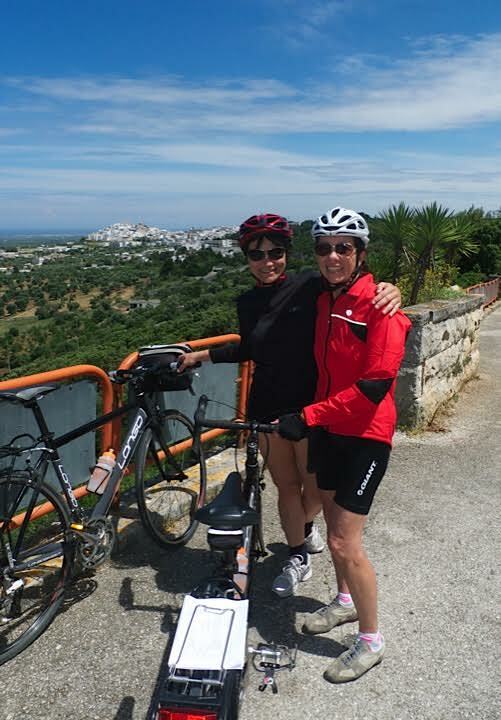 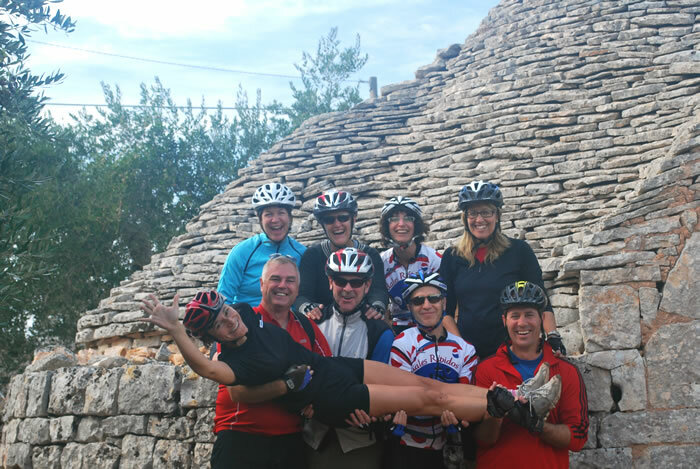 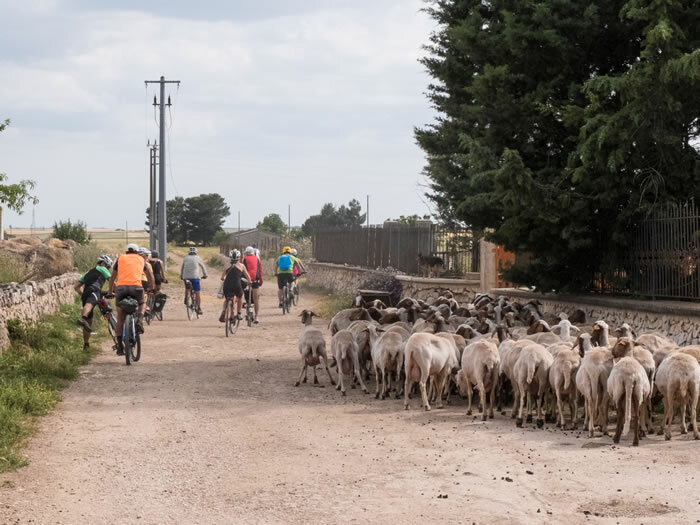 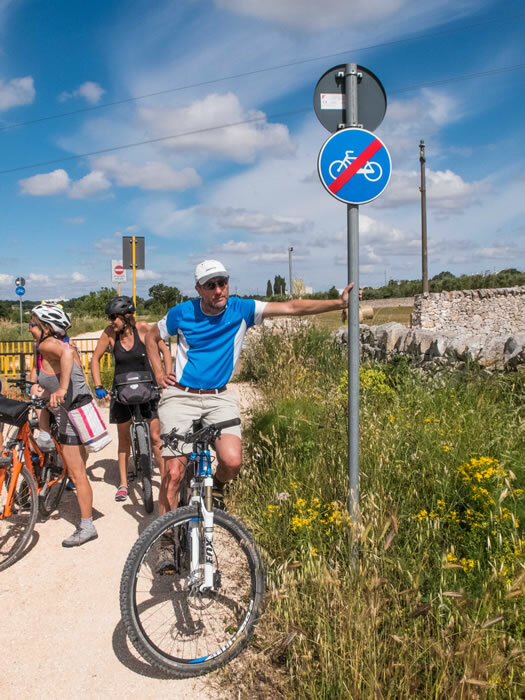 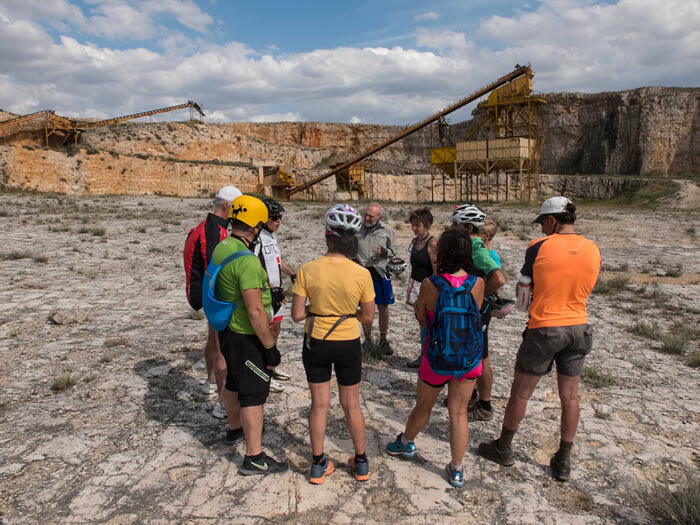 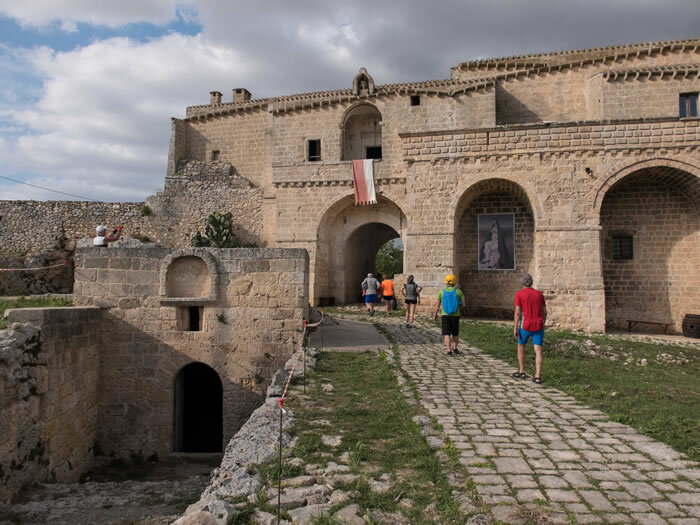 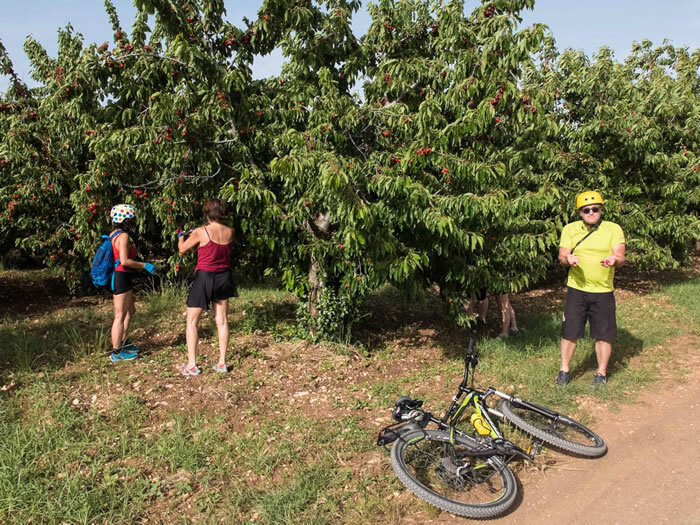 Moments from bike tours in Puglia guided by Silvia Sesana, shared by friends and clients coming from all over the world to memorialize views and delicacies enjoyed during their stay. 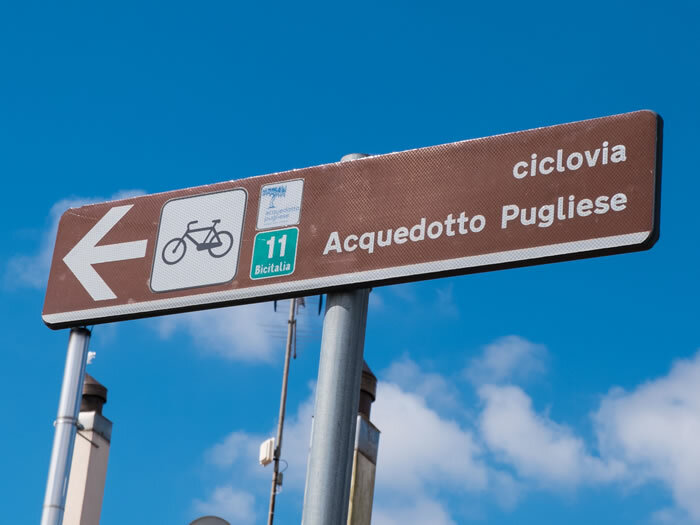 A special thank to Marco Di Prinzio for his wonderful photographic contribution.